Author Elizabeth M Stephen‘s new book focuses on Aragorn the hero-king of The Lord of the Rings, although he is one of the pivotal figures of Tolkien’s mythology, a detailed examination of this popular character has been a notable omission from the spectrum of existing study. The book is published by ADC books. 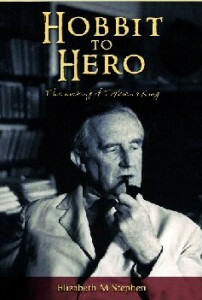 Hobbit to Hero: The Making of Tolkien’s King, is a uniquely detailed study of the character “Aragorn” unraveling his evolution from hobbit ranger to Numenorean King and exploring how this unexpected transformation enabled Tolkien to fulfill some of the profound functions of his wider mythology. Thanks to ringerspy Liz for the heads up. For details on the official book launch and for pre-ordering read more here.